Welcome to the San Diego Free Press’ newest column! We don’t make a habit of publishing press releases and, because we are all-volunteer run, we simply don’t have the resources to cover every event or topic of interest. 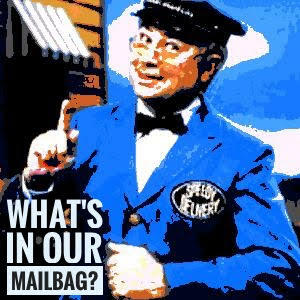 What’s in our Mailbag? is a consolidation of information we’ve been sent from organizations or individuals we think is important to share. In an effort to curb what the ACLU of California refers to as the school-to-prison pipeline, the human right’s organization published The Right to Remain a Student: How California School Policies Fail to Protect and Serve, a detailed report that aligns with a coordinated effort by more than 100 organizations to promote the Dignity in Schools’ National Week of Action. The report highlights events in which the use of police force was determined to be overwhelming in force and ineffective in creating change. In one case the ACLU calls especially egregious, a district police officer in Stockton zip-tied the hands and feet of a 5-year-old with behavioral problems and took him to a mental health facility. In another case, a police officer called to a San Mateo school pepper-sprayed a 7-year-old with disabilities after he refused to climb down from the top of a bookshelf in his special education classroom. Reinvesting money toward security guards, counselors and necessary training. The League of Women Voters supports policies that provide decent homes and a suitable living environment for all residents of San Diego County. Though the well-funded “Yes on A” campaign presents the Lilac Hills development as the answer to San Diego’s housing needs, it is not the solution. The League opposes Measure B and we ask you to do the same. The League of Women Voters believes this project is inconsistent with the County’s General Plan. Though the General Plan includes provisions for housing development, this project is not suitable for the location. This is a rural area of farm fields, lacking the infrastructure required for the proposed development of 1,746 homes. In the County’s General Plan, the area is zoned for 110 homes. Ballot-box land use planning falls far short of the systematic approach required for County land use decisions arrived at collaboratively with community planners. Don’t reward developers who choose to bypass this process. Join the League of Women Voters in voting No on Measure B! On Tuesday, Nov. 1, Senator Marty Block held a subcommittee hearing focusing on California’s high demand for bachelor degrees, San Diego workforce needs, and the implementation and future of SB 850 — a measure he authored allowing for four-year degrees at 15 community colleges around the state, including Mesa College and Mira Costa College. Upon passage of SB 850, California joined 22 other states that allow community colleges to offer baccalaureate degrees. Adding urgency to the success of the pilot effort is California’s need to increase the number of degrees by almost 60,000 per year to meet a projected demand by 2025. Community colleges are also able deliver a bachelor’s degree to in-state students for an average of $10,000 compared to an average of $27,000 for a four-year degree at a California State University campus. Here’s another goodie for you- with permission. I love Oceanside. But this election cycle has exposed the worst of our small town. A good old boy creates a local newspaper to manipulate election results so he can build a lucrative digital billboard. A carpetbagger with a lot of baggage (she allowed a climate of harassment against gay students and lost a lawsuit for violating conflict of interest laws) comes to town and seizes an opportunity to run for City Council. A seated Council member encourages us to vote for a dead man. Let’s show our love for Oceanside by saying ‘No” to all of these shenanigans. Just say No to Linda Gonzales on our City Council, No to the Blade and digital billboards, and no votes for dead people. I know you’re primarily a San Diego paper, but have you seen the trash rag called The Blade in O’side? Nothing more than political hit pieces against everyone who is against Digital Billboards in O’side. The publisher got his project for these ghastly things turned down and has turned beyond ugly. Measures C for Chargers and D for Do-gooders. It is a crime that downtown interests have stolen millions of tax dollars and controlled them to their private interests albeit under the cover of “promoting San Diego.” San Diego does not need to be promoted. If for no other reason than recovering our tax dollars, YES ON D, but the reuses of the Qualcomm Stadium site are not a bad deal either.